John C. Knapp, founding director of Samford University's Frances Marlin Mann Center for Ethics and Leadership, has been named the next president of Hope College effective July 1. 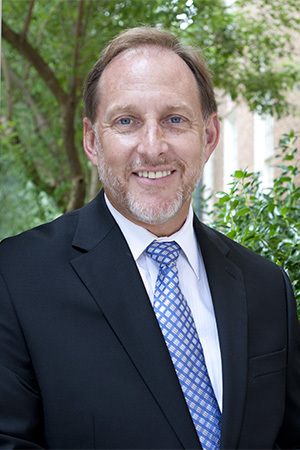 Knapp was elected the 12th president of Hope by the college's board of trustees March 25. Hope College is a four-year, co-educational, Christian liberal arts college affiliated with the Reformed Church in America. In announcing the election to the Samford community, Samford Provost and Executive Vice President J. Bradley Creed said, "This is a great opportunity for John and further affirms the quality of leaders we have here at Samford University. I appreciate the outstanding job he has done with that program in building a strong foundation for the future. "I know you will join me in congratulating John, in thanking him for his service to Samford and in praying for his family as they make this transition to a new opportunity of service." Creed said he would work with Knapp through the transition and that the search for a new director for the Mann Center would begin soon. Read a complete story on Knapp's election at www.hope.edu. Note: This story includes information provided by the Hope College office of public relations.